Westthorpe NUM – 1983. See below. Can you give any names please. Photo courtesy of Joss Pearson. My wife believes the man positioned ninth from the right on the back row is her late uncle, Jack Oscroft. 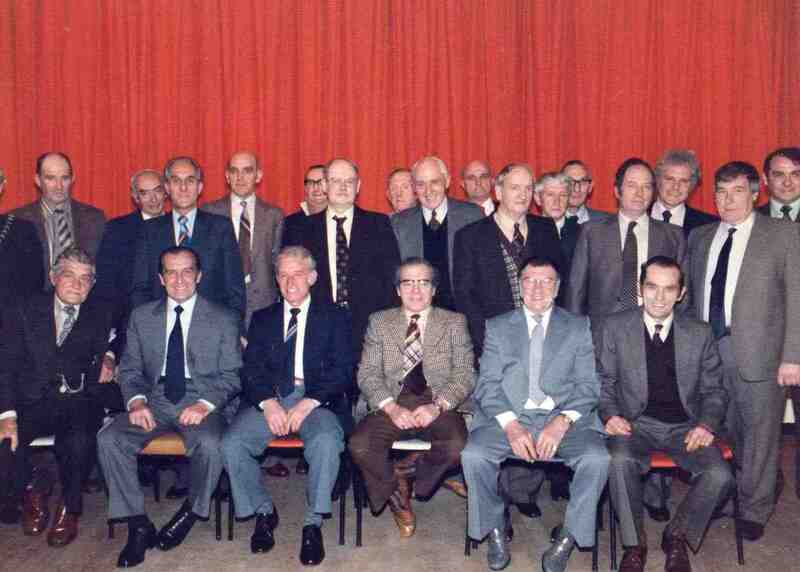 Westthorpe Colliery NUM event 1983. Standing (left to right): Mike Burns (South Yorkshire County Council), Ken Page, Frank Pressley, ? ?, Walt Jennings, ??, ? ?, ??, ? ?, Eric Barker, ? ?, ??. ? ?, Wilf Glossop, Pat Swift, Joss Pearson. Seated (left to right): ? ?, ?? Harry Broadhead, ? ?, Johnny Mullins, Eric Williams. Are we correct and can you fill the gaps?